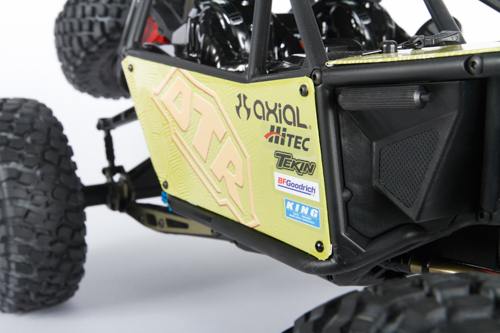 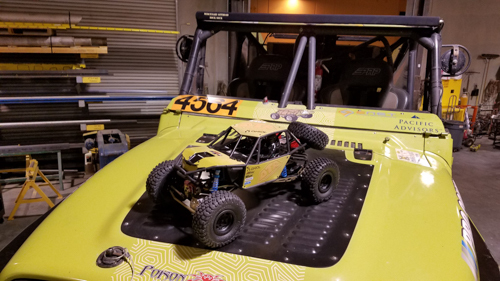 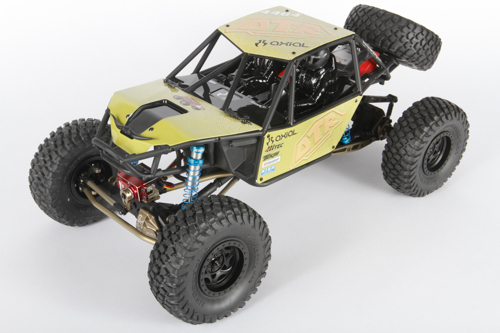 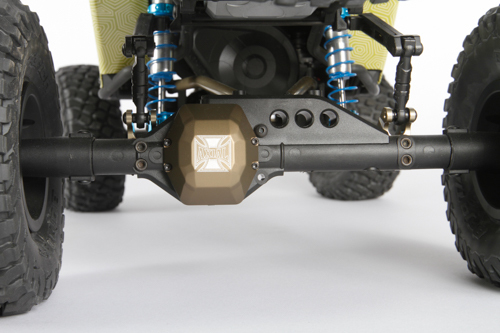 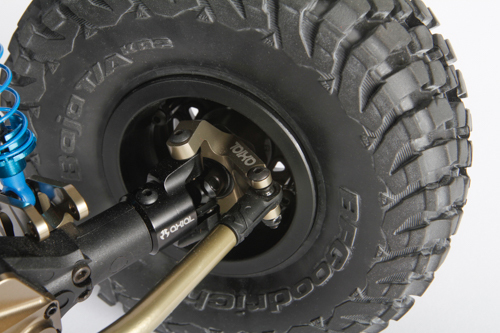 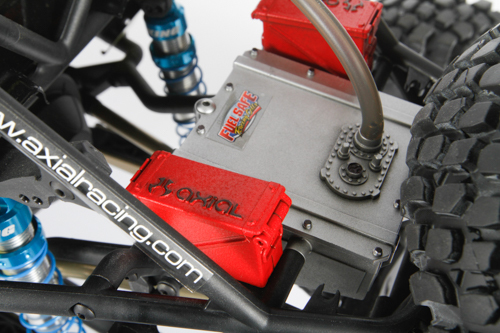 The Ultra4 Racing team of Desert Turtle Racing has a few Axial fans in their group. 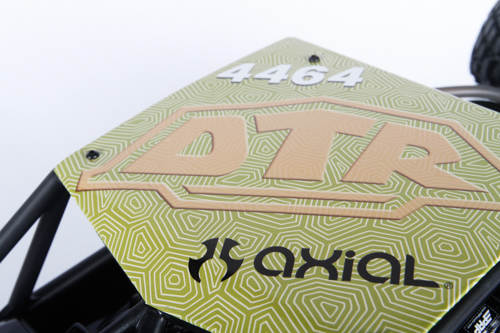 Myself, for one, just happens to be lucky enough to work for Axial. 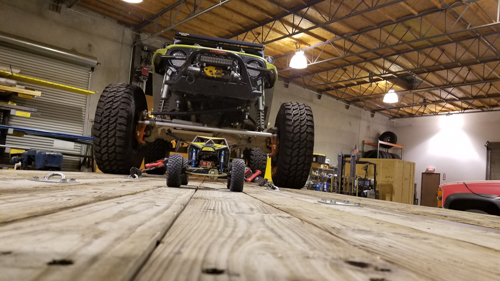 After attending AxialFest 2016 and competing in the Altra Ultra5k with a bone stock RR10 RTR, I was eager to build up my own RR10 in preparation for my next Altra Ultra5k. 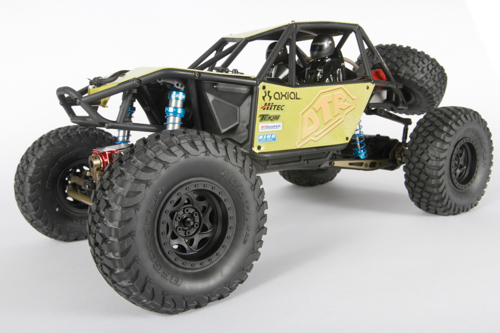 With a little downtime from working on the full-scale rig I was able to put together a DTR themed RR10 Bomber Chassis. 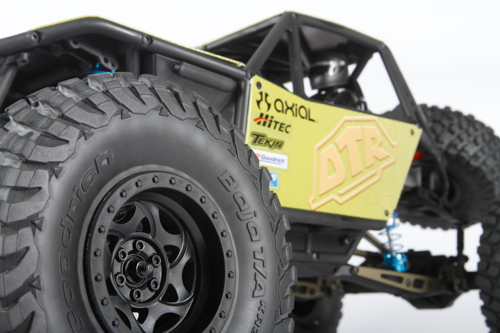 The RR10 Kit has some awesome features and makes for a great starting platform. 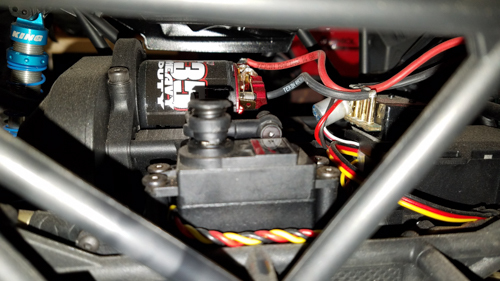 I opted to add some pretty cool option parts and electronics to give it a little extra kick. 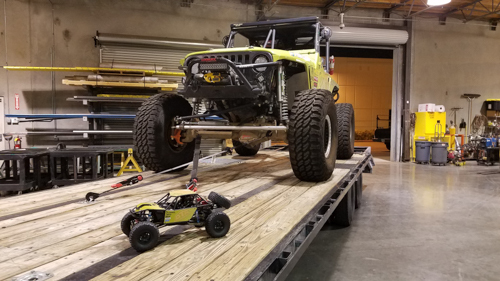 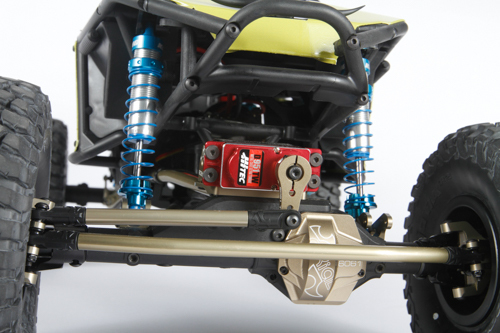 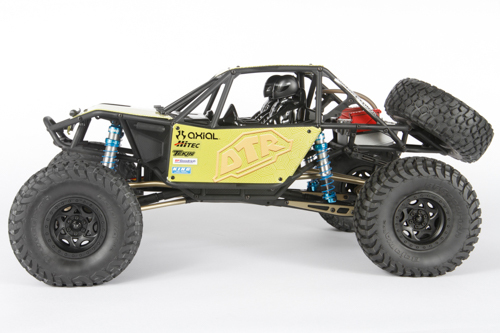 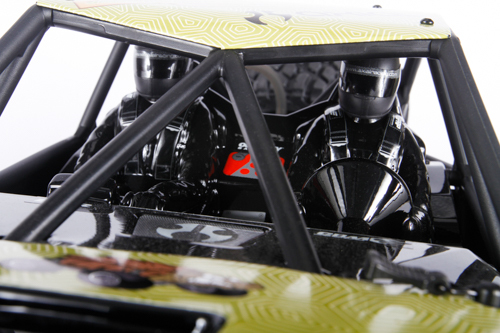 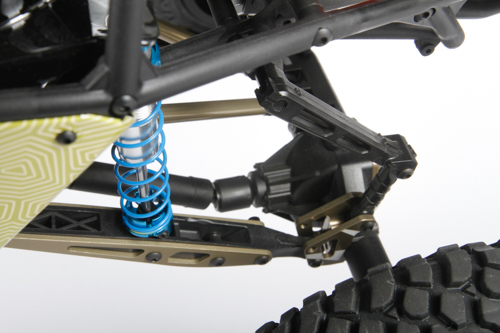 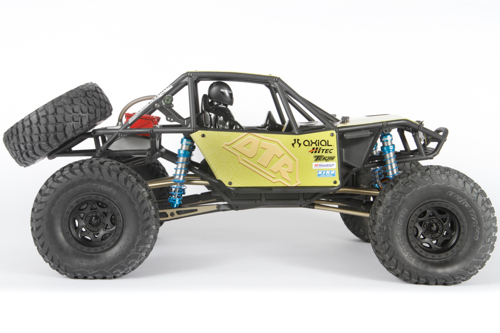 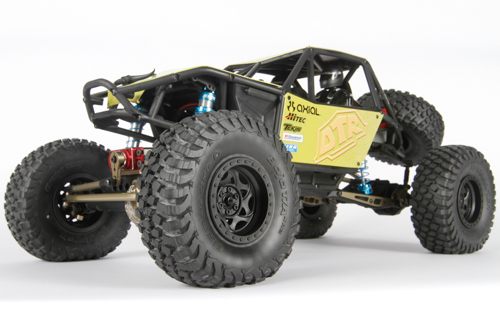 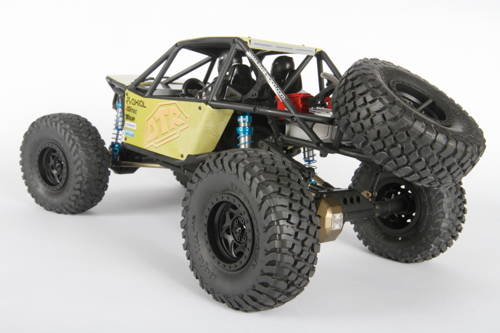 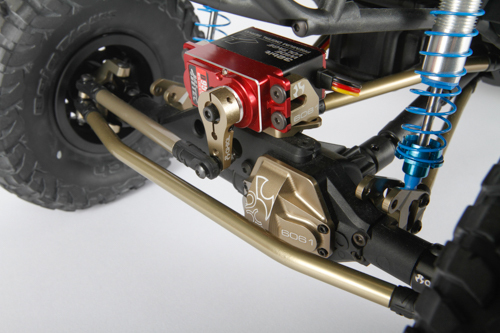 In Ultra4 Racing, one of the must-have items is a 2-speed T-Case, giving this rig a little more realism. 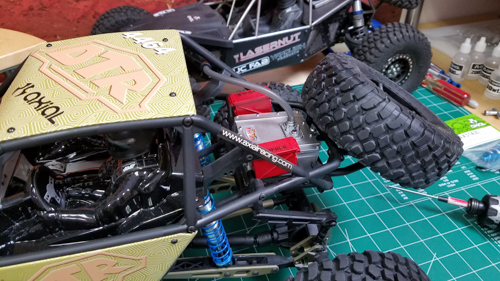 I added the Axial 2-Speed Transmission components to give the rig some great low-speed gearing and some “haul the mail” top end – all shiftable with the Tactic TTX300. 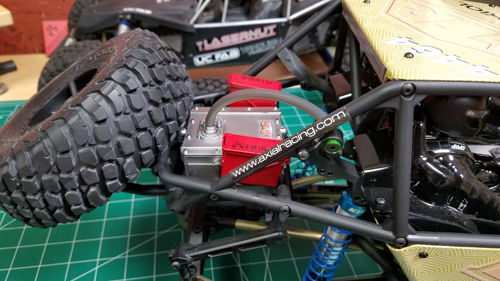 I added a few final touches to try and give it a bit more scale looks; ammo cans, painted fuel cell, fuel filler hose and some key interior stickers. 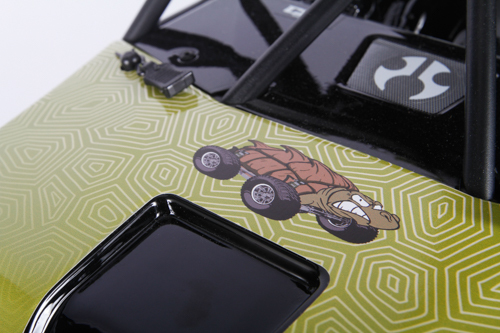 Find more info about Desert Turtle Racing on Facebook.